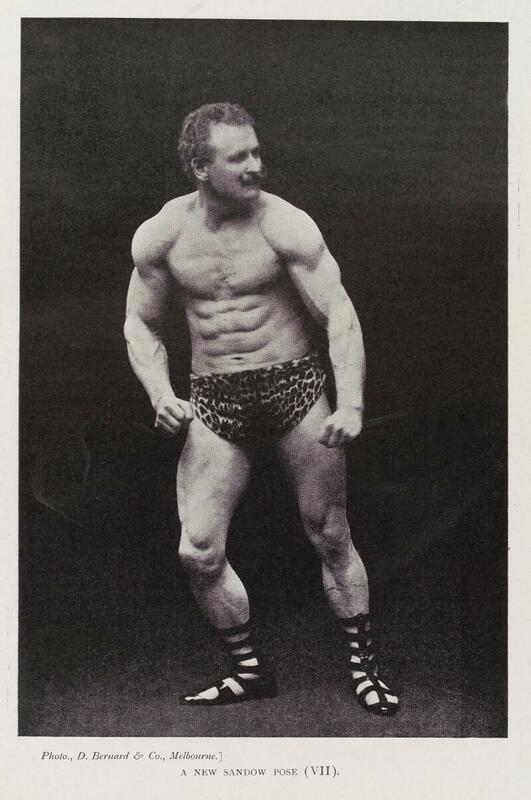 Photograph of Eugen Sandow wearing leopard-skin trunks and Classical style sandals. Enitlted "A New Sandow Pose (VII)." Photo taken from 'Sandow's Magazine of Physical Culture'.